The hot, humid summer, regular highlights and daily blow drying has rendered my hair a fried mess. 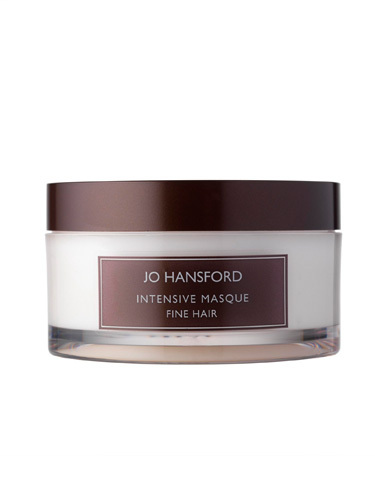 In desperation, I have reached for an ancient tub of (unopened) Jo Hansford Intensive Hair Mask in the back of the bathroom cabinet. On opening, the unguent was alarmingly jelly like which I’m not sure is down to the product’s age or how it should be but having applied it this morning – and not even for the full, advised five minutes – I can report: it’s a miracle! My hair has not only gone from frizzy to smooth but it’s positively glossy. And it looks fuller – even after being outside where usually it flops. I keep wanting to swish it about and pretend I’m a Middleton. In sun starved Blighty, Jo Hansford herself advised me not to use the mask (even the fine hair version) as my locks were too limp to take it. But Jo, you haven’t seen what a year in Asia has done to my hair. As long as I’m living here, I’ll be reaching for this intensive care.